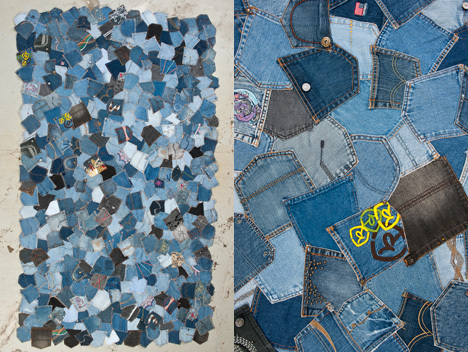 We’ve seen denim couches, chairs, wall hangings … even denim insulation, and now my friends, we bring you the denim rug. We found this Benjamin Rollins Caldwell rug on core77 from NT Design Week. This entry was posted on Thursday, May 26th, 2011 at 6:11 pm	and tagged with Benjamin Rollins Caldwell, Canadian Tuxedo, core77, Denim, New York Design Week, rugs and posted in Furniture. You can follow any responses to this entry through the RSS 2.0 feed.